What an amazing picture to say cheerio to Craggan! I’m sure a risk assessment was carried out to get onto the ROOF!!!! They will all be home before you know it. I trust washing machines and showers are very much at the ready!!!! 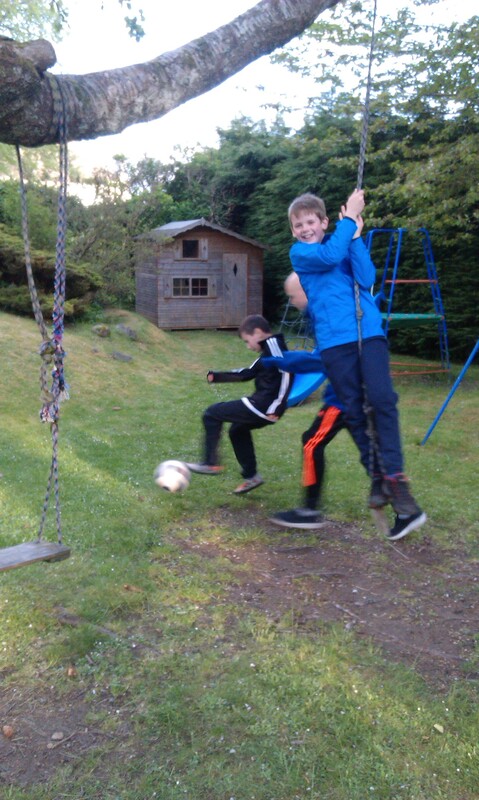 Tonight has been a brilliant evening with a BBQ, birthday and games together at Ardenbeg. 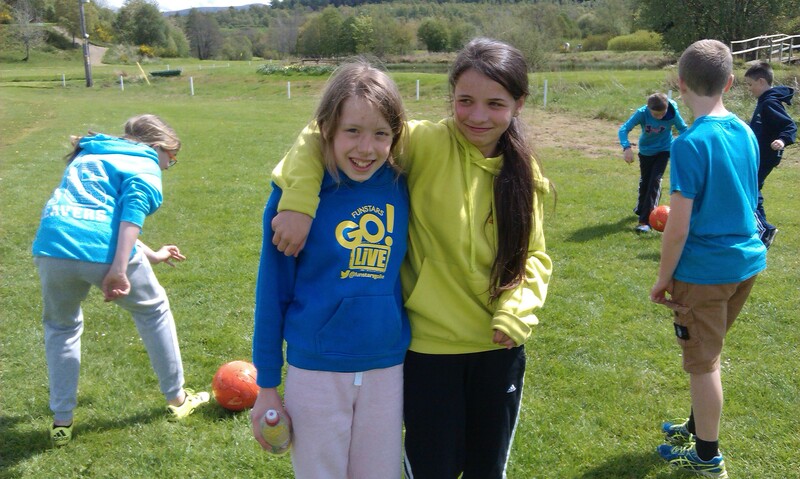 The sun has shone and it has been an ideal way to end our trip together as a year group. We also enjoyed some delicious cake to celebrate Luke, Joe and Sharleen’s birthdays this week – thank you! 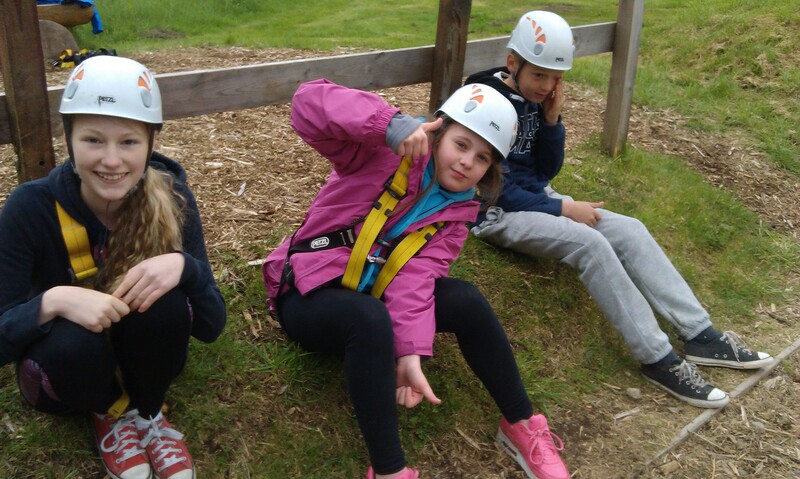 The children have continued to have a fabulous time right through to the end of the week. Tomorrow you’ll be able to ask them about their highlights and achievements. Throughout the week, the children have spoken a lot about their sense of accomplishment and how proud they are of what they have achieved. 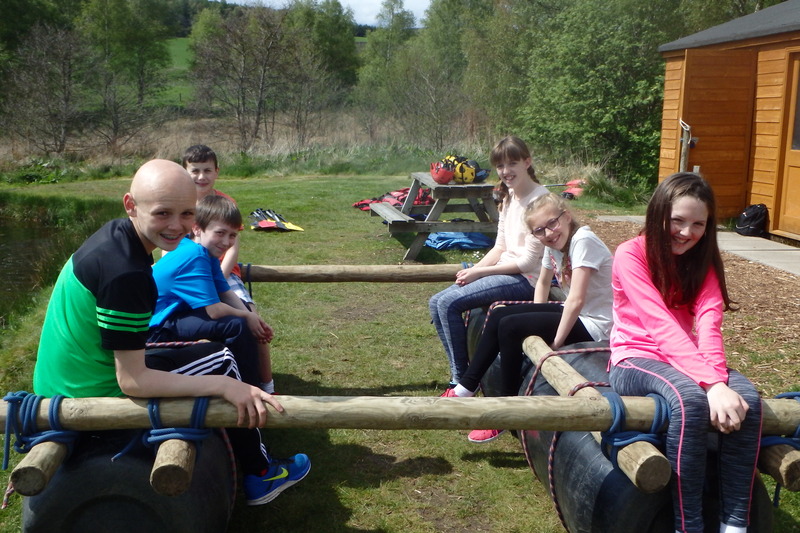 They have been so reflective and supportive of each other – and of course had lots of fun along the way! Once back, we’ll make good use of all the fantastic pictures taken over the course of the week to create videos to share with you at our P7 leavers’ service at the end of term. Meanwhile, enjoy the pictures below. 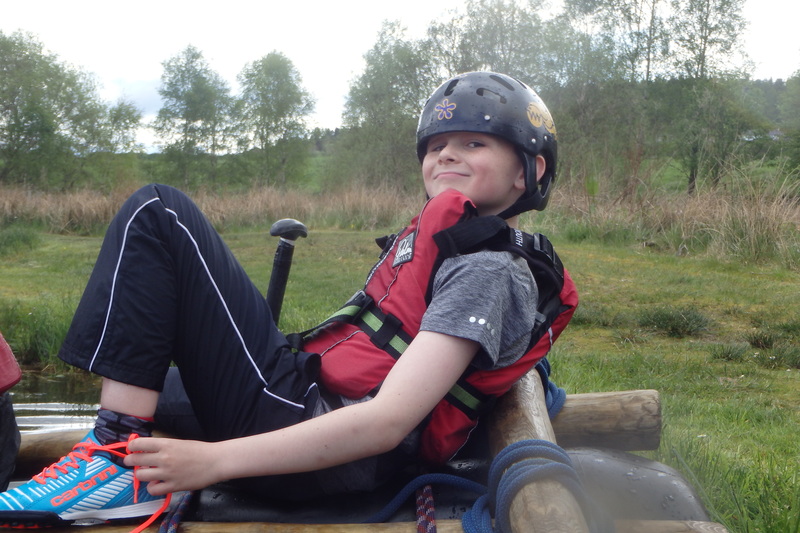 We apologise for the technical difficulties uploading posts on this residential trip but hope families have been able to view some shots of the children during the week. 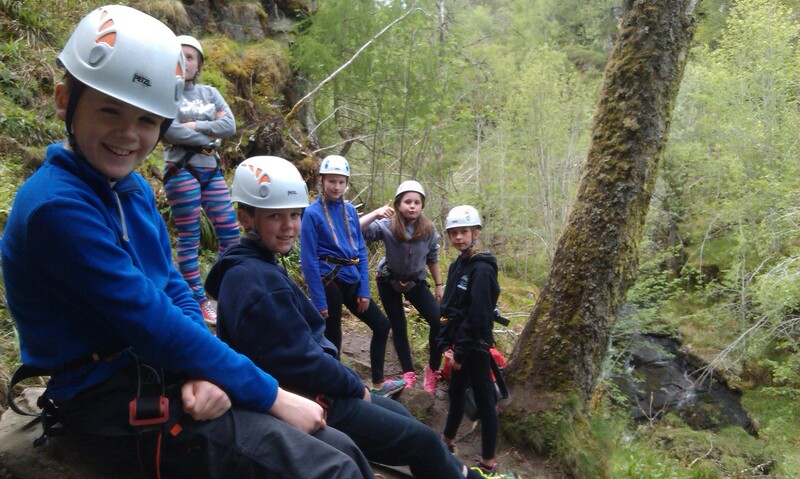 A massive thank you to the Craggan instructors for their time, patience and skill with the pupils, to the teachers for their commitment to every aspect of the trip, and of course to the children for making it such a success – you are stars! 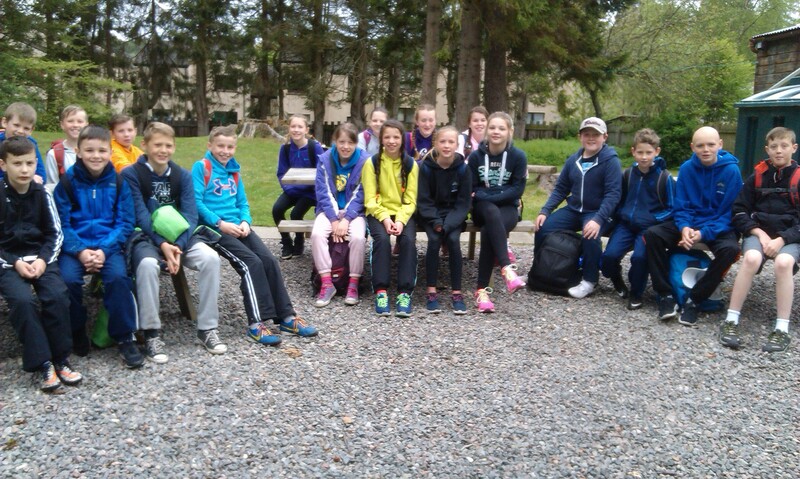 It’s hard to believe we’re already here at Day 4 of our amazing adventure together at Craggan. 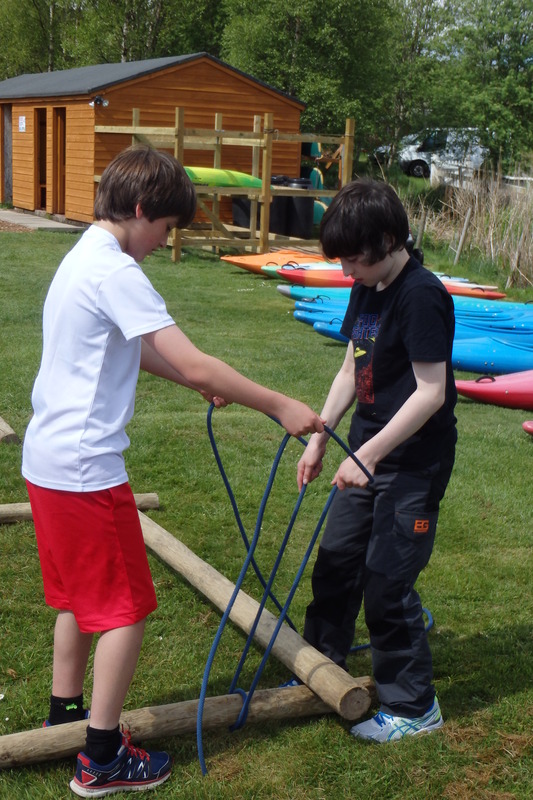 New for us on days 3 and 4 has been the mountain biking and bushcraft which have both been very popular. 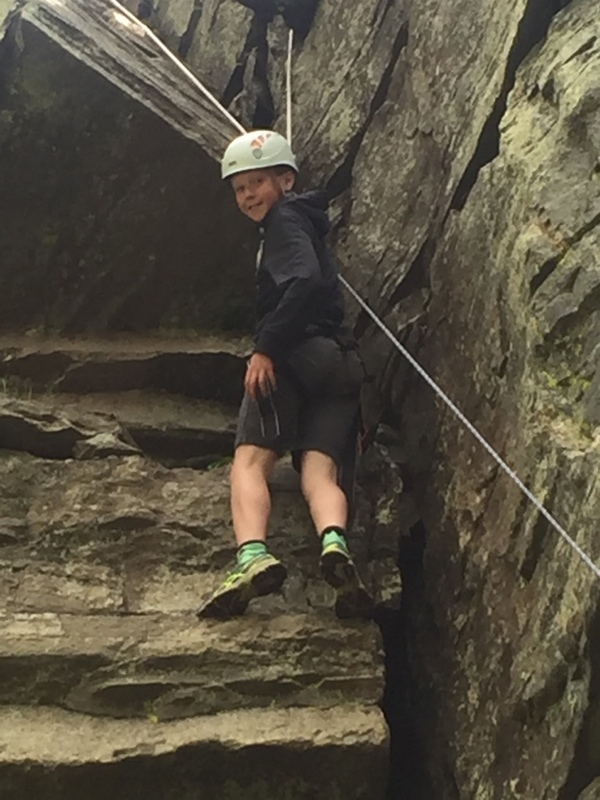 Some really enjoyed the high speed thrill and techniques of the trails; others loved learning about (and sampling) edible plants which grow natively in this country, drinking pine and spruce tea and sitting by the fire eating warm fresh-baked bread cooked on the embers of the fire – yum! 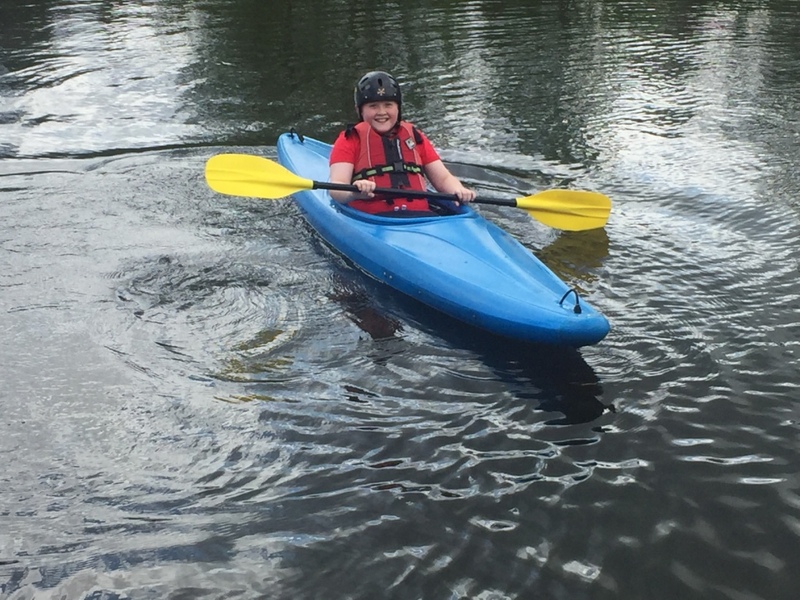 We were delighted to welcome Mrs Mateer who arrived yesterday in time for some kayaking action on the loch. Yesterday’s evening activity was a natural art competition. Lots of children commented on enjoying just being out in the woods, having a chance to explore and be creative. 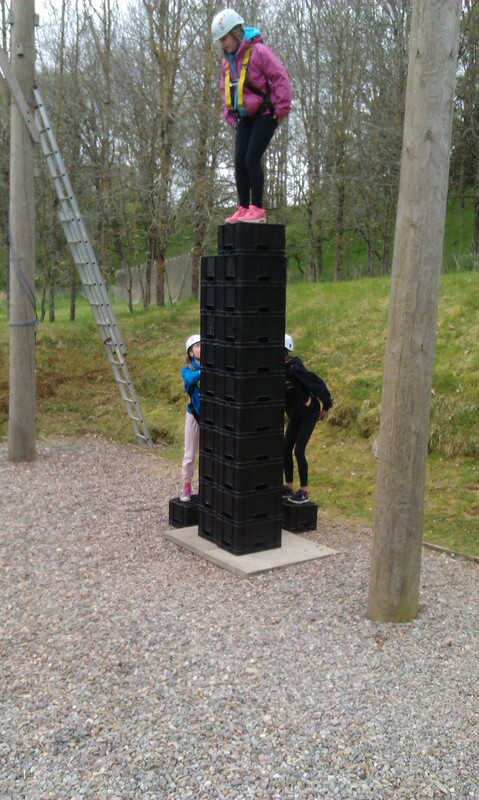 Congratulations to team Lomond who won the competition for their creativity, narration and teamwork. 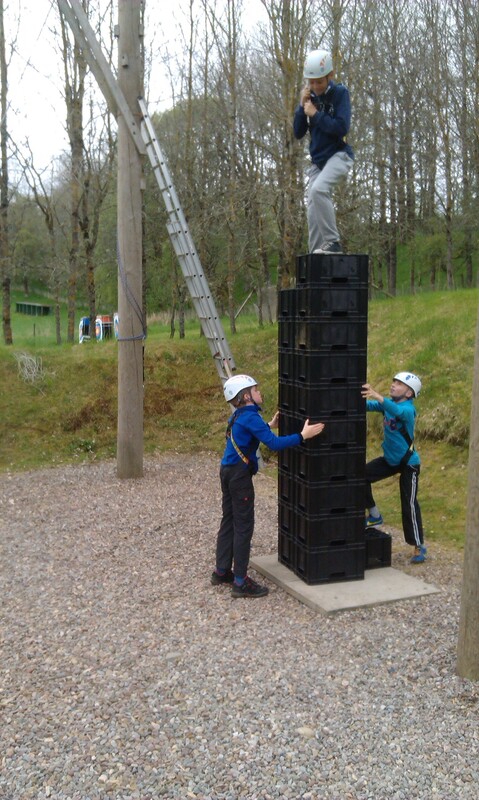 It’s too close to call at this stage which of the four teams will come out triumphant tomorrow but what we can say for certain is that the pupils of Milton of Leys have once more been absolute stars for being prepared to give everything their best shot, working together to help each other and having fun. We are very proud of our P7s. Trouble Viewing the Craggan Pictures? Open MOL outdoor blog with internet explorer. If they don’t load so then on the right hand side click the settings then compatibility view settings then added the page then they all came in. Hopefully one of these will work! 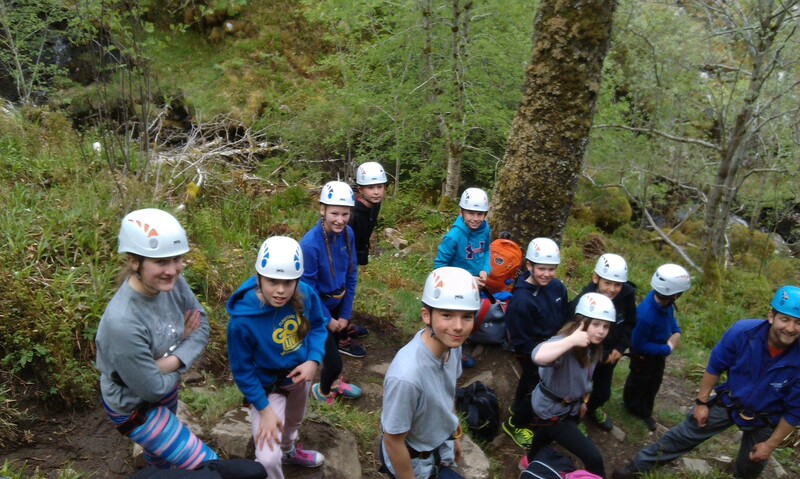 More photos from Craggan courtesy of our newly found Outdoor Queen, Mrs Brown! We all arrived safely. First job was to drop our bags at our accommodation. 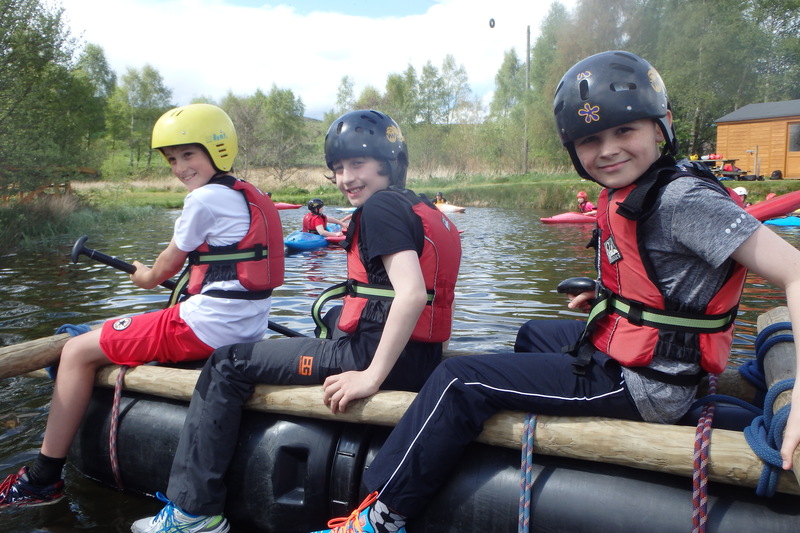 Once completed we all made our way to the outdoor centre. Keith the owner of Craggan Outdoors introduced himself and his staff team, he then divided us into 4 teams. We are all named after mountains: Cairngorm, MacDui, Lomond and Nevis. Throughout the day we are competing for Craggan points. 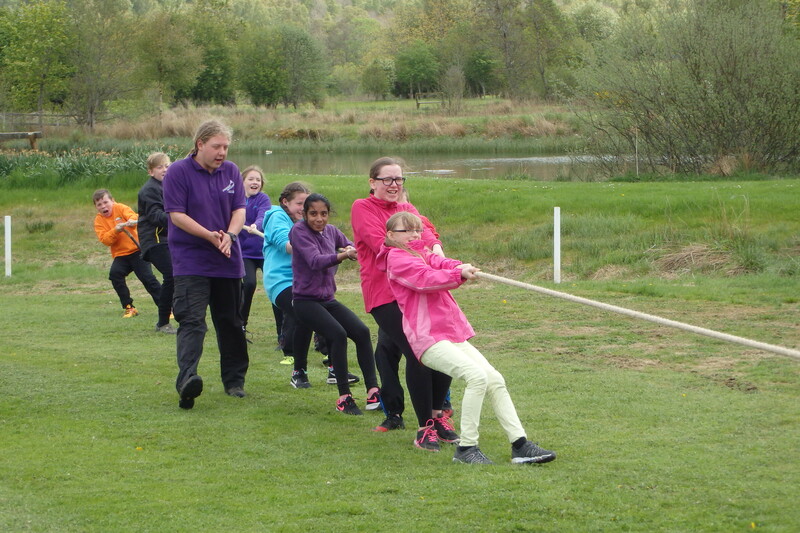 As well as gaining points through winning competitions and games you can also be awarded points for acts of kindness, team work and courage. We had lunch, enjoying the last of our home comforts, then it was into our first activity! 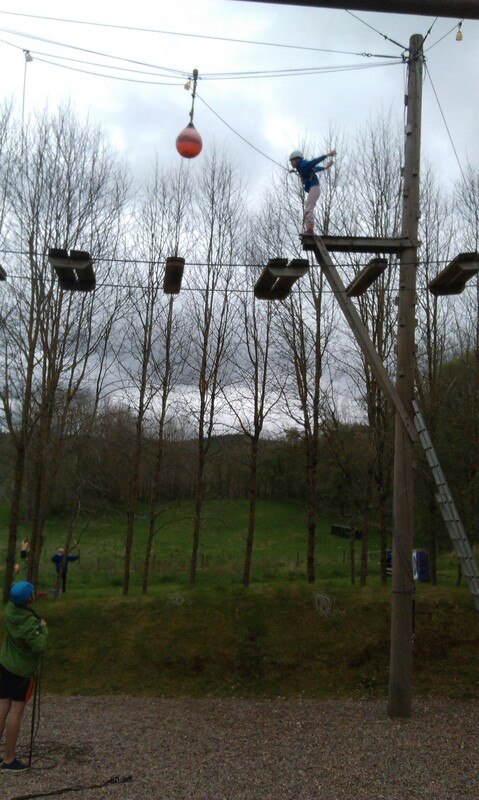 Lomond attempted the High Ropes where Miss McPherson completed the leap of faith!! 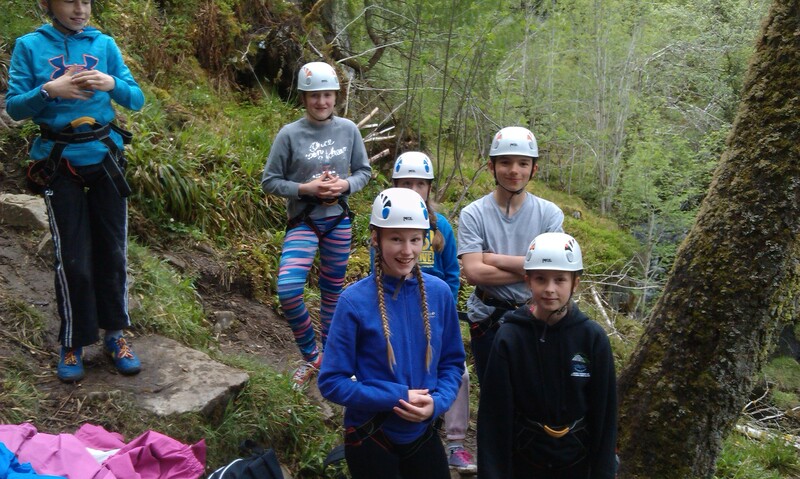 MacDui tested their strength and head for heights by rock climbing up and Mrs Snedden made it the top with ease! 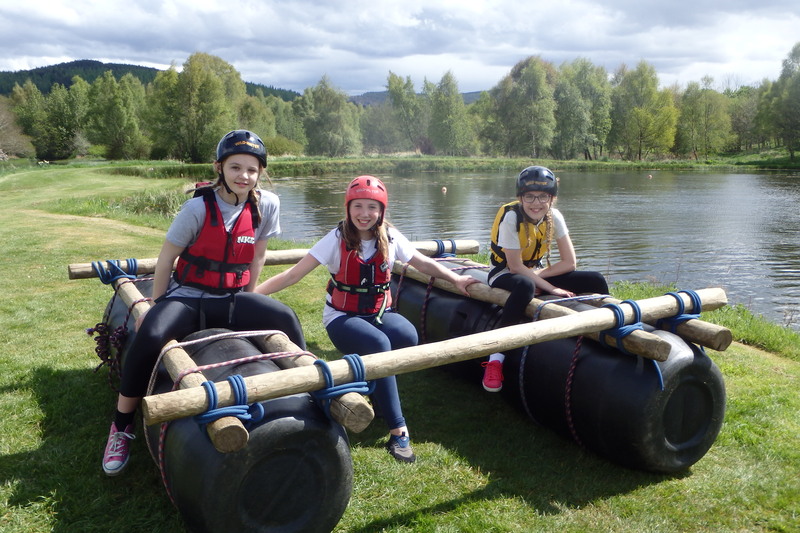 Cairngorm put their knot tying skills to the test by building their own raft and setting sail across the pond. 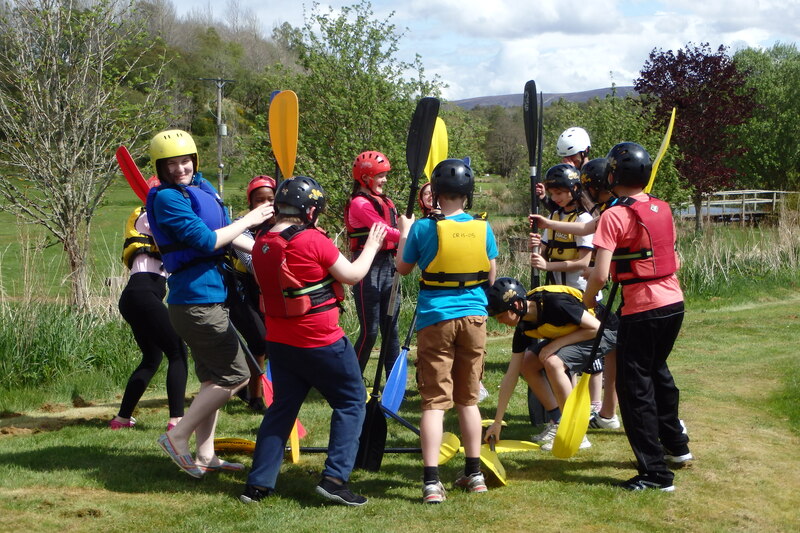 Miss Leakey led the team in organised chaos by soaking the kayakers with some monstrous splashing!! 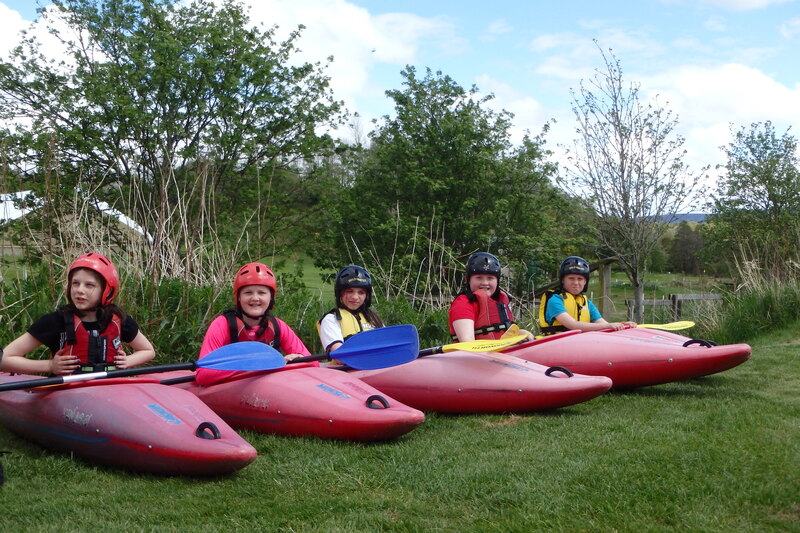 Nevis team were like ducks to water gliding along on their kayaks until they capsized and found themselves paddling like mad. Some were brave enough to slide down the big shoot into the murky water! 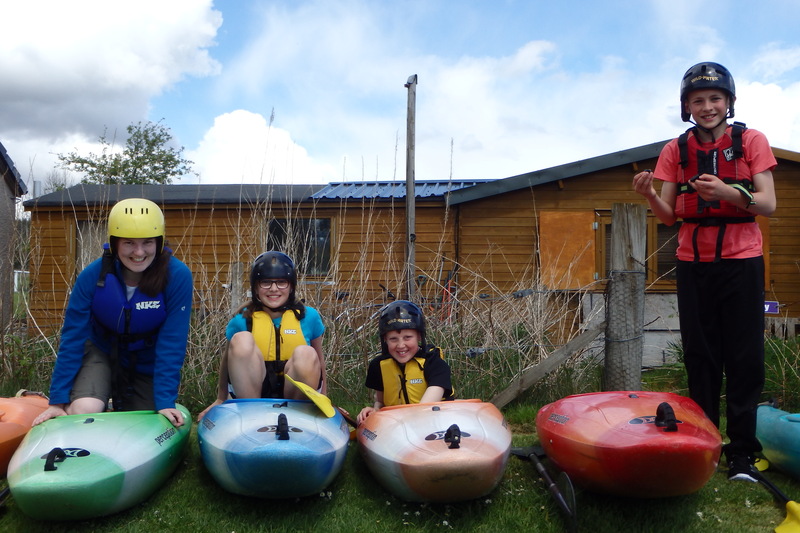 Miss Hutcheson did not capsize but the instructor tipped a HUGE bucket of freezing water over her. 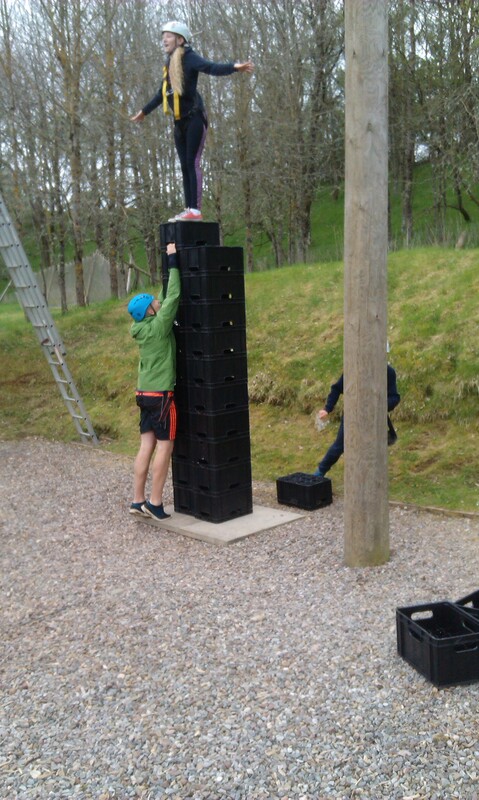 Monday’s evening activity was Mini Highland Games. 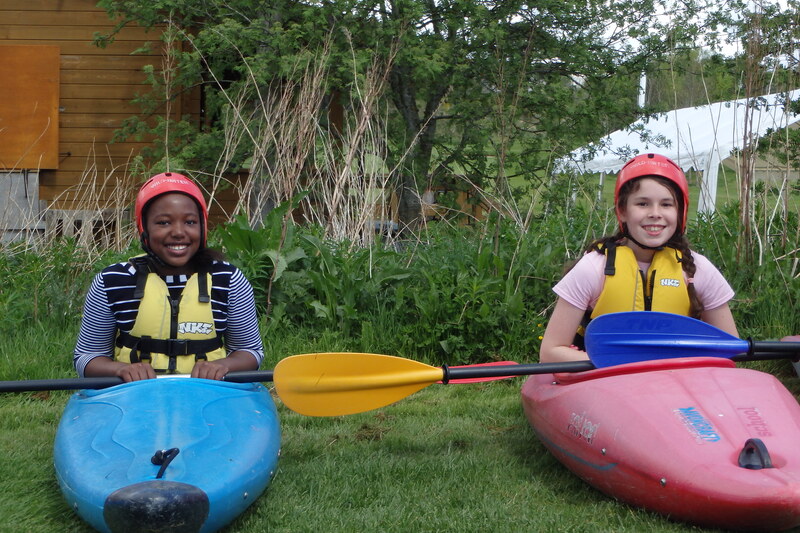 It was really fun, we got to try different activities. I didn’t really know limbo was a highland games activity. At the very start of the evening we split up into four teams and we choreographed 4 different chants. We then had to perform them in front of everyone else. Nevis got 5 points for scariest chant and Cairngorm got 5 points for best dance moves. Struan. 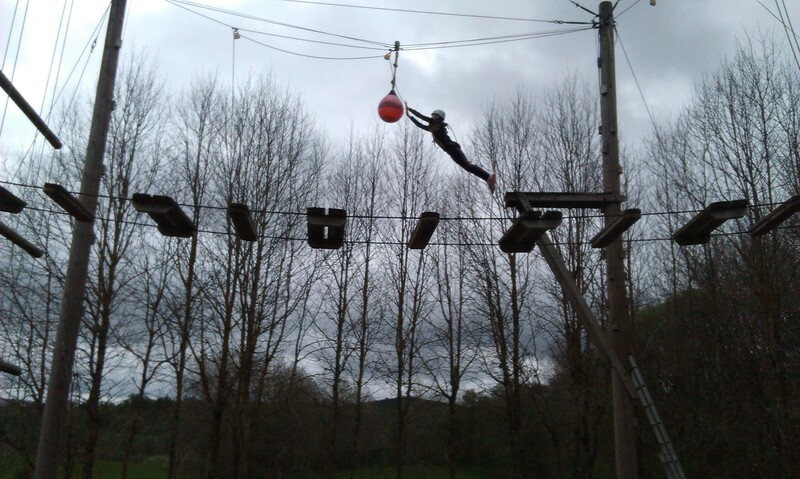 The leap of faith is scary but worth it because you feel such accomplishment! Katie. To help us learn about aiming the arrow we played a game thinking about the different things you need to make a yummy cake: blue for water, white for flour, black for a burnt cake, red for the heat you need to bake your cake and yellow represented the eggs you would add to the mixture. 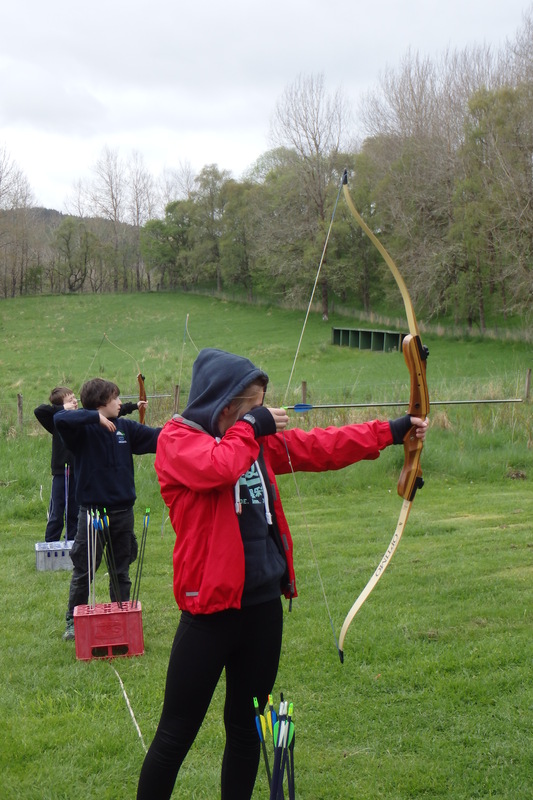 We also learnt how to hold and collect the arrows safely. Katie. The key is to stay focused and listen really carefully so you don’t injure yourself. Sharleen. 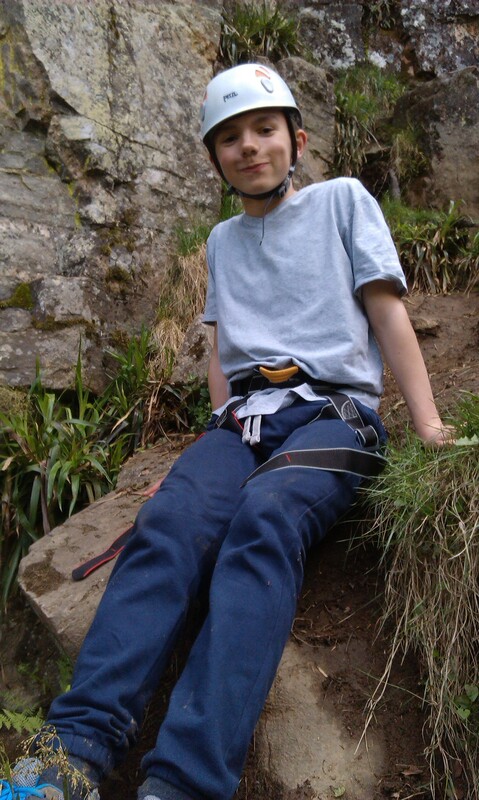 I really liked climbing up the double waterfall. 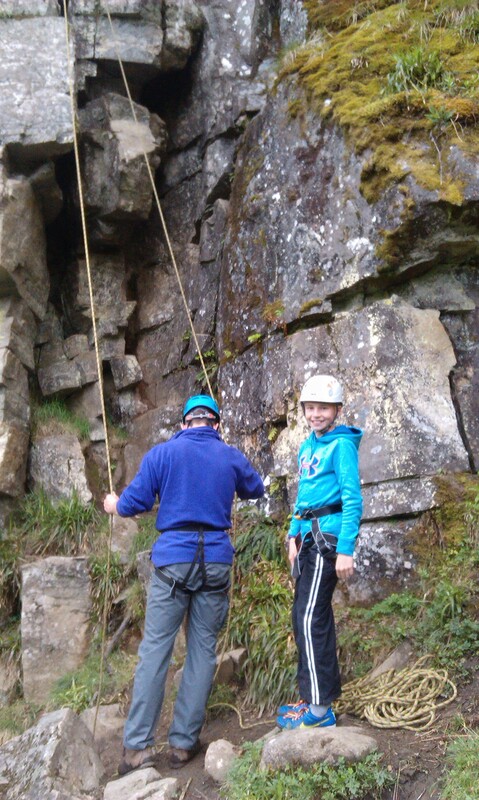 It was quite tricky at first but then we got the hang of it. We’d to use a lot of team work to help each other. Sharleen. As you will know Tuesday is P7’s P.E. day. Mrs Brown found herself at a bit of a loose end so she decided to come and join us for the day. 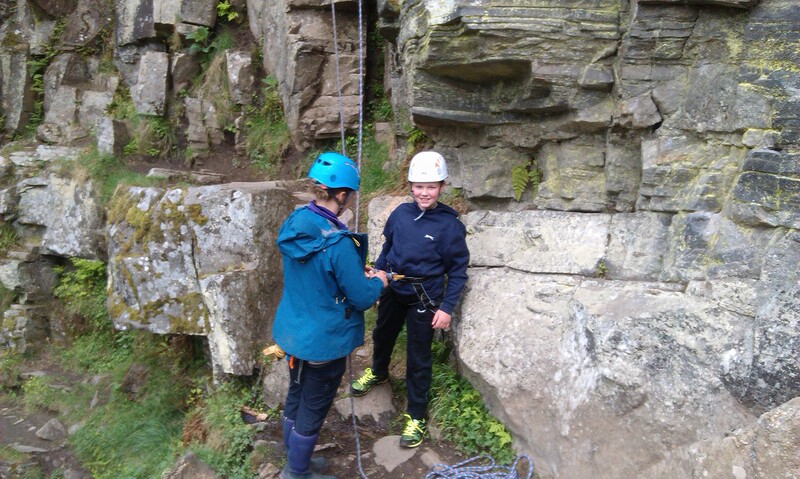 Mrs Brown took part in gorge walking and the high ropes challenge. 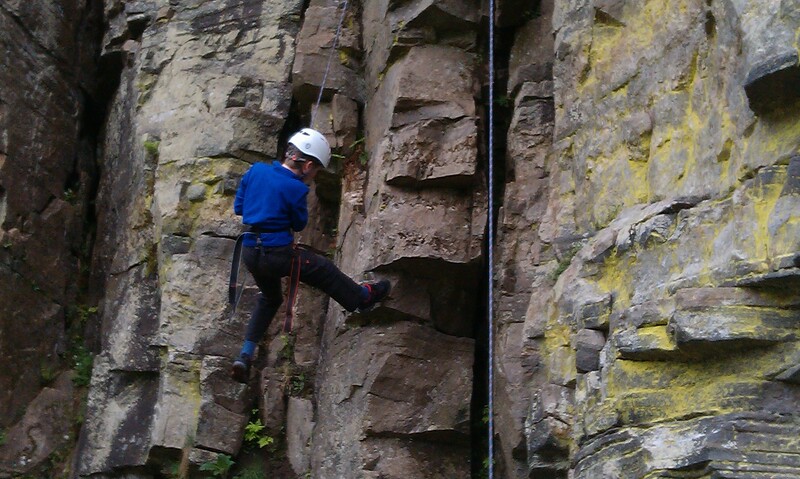 She was pushed out of her comfort zone but was a truly excellent sport. 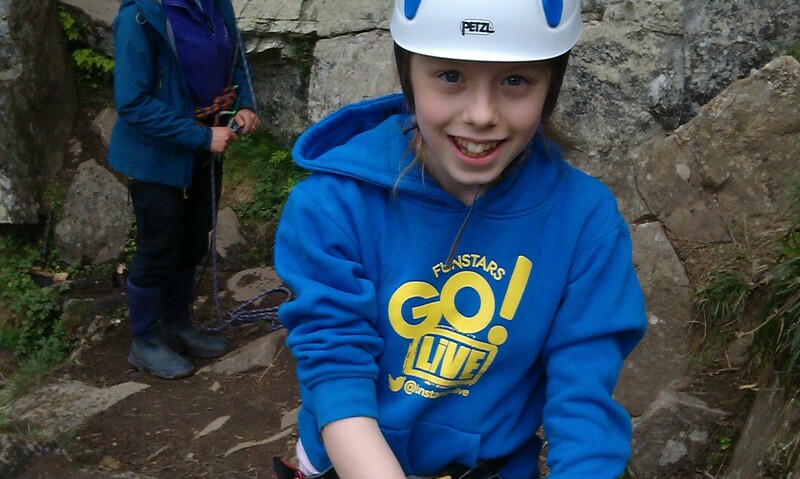 She even took on the final challenge of jumping off a rather large cliff into a very deep, ice-cold river pool. 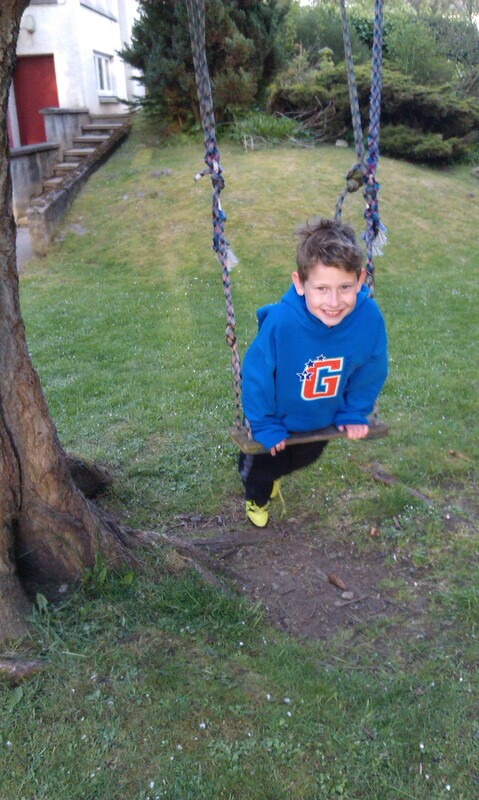 For our evening activities we gathered in the Nethy Village Park and learnt how to play Frisbee Golf. This activity was fantastic! P7 enjoyed it so much we plan on taking it back to MOL to teach our P1 buddies.